Reading 'Emperor' by Ryszard Kapuscinski not only opened my eyes to some of the contrasting reports on the reign of His Imperial Highness, Haile Selassie I of Ethiopia, but also made me realise how little I knew about the tiny nation of Eritrea. Indeed, I have many students who have some Eritrean descent and so I sought a book that would provide me with an outsiders view. 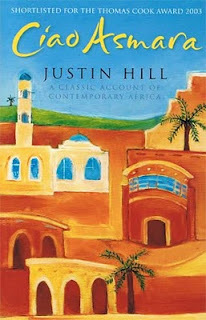 After rummaging around Amazon I found 'Ciao Asmara'. 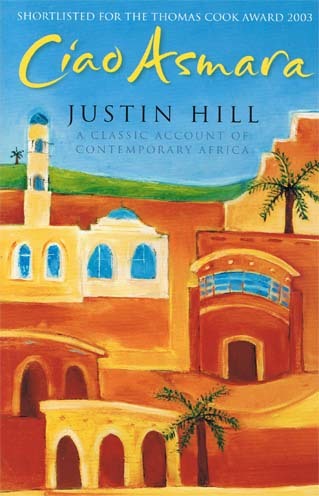 'Ciao Asmara' is an account of a stay by Justin Hill who went to Eritrea a fews years after independence from Ethiopia in order to teach at a school in a town called Keren. Hill charts his eyes being slowly opened to many of the issues existing within the country in the late 1990s: Eritrea's fixation with the glory of independence, the government's neglect of people who were not involved in fighting "in the field", a lack of forward thinking by the government in terms of economic development and the deeper scars of the bloody conflict with Ethiopia. The story starts with the same level of romanticism that any mzungu in Africa feels when they first arrive - everything seems simpler and more beautiful. The real art of this text is that you really sense Hill's growing disillusionment with Eritrea by the time of its conclusion. A genuinely emotional and thought-provoking read.